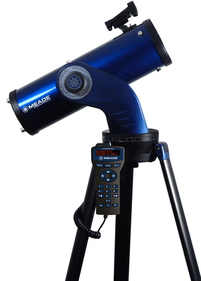 This Meade telescope has a lens diameter of 90 mm and a focal length of 1250 mm. The maximum magnification is 180x. 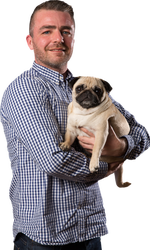 With the GoTo system you can easily find 30,000 objects in the sky. A tripod is included. 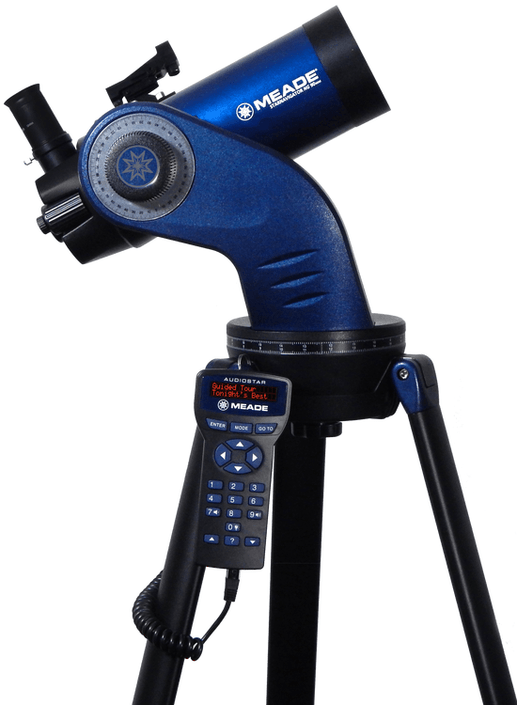 If you want to take your your photography hobby to the next level by taking pictures of the celestial bodies in the universe, this is a suitable telescope for you. 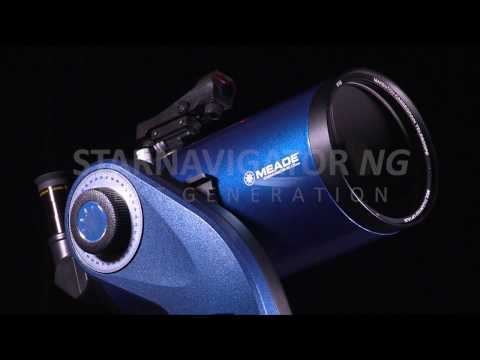 The Meade StarNavigator Maksutov 90 millimetre catadioptric telescope is equipped with a built-in mirror that puts the image upright. 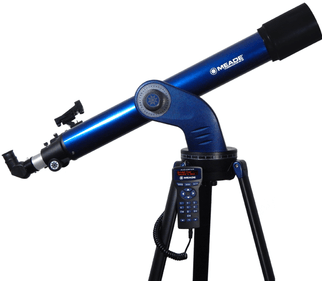 The telescope comes with an aluminium tripod that is adjustable in height. This way, you can perform your observations both standing and sitting. 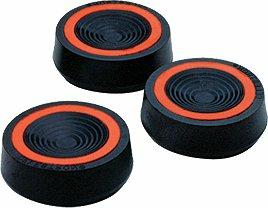 The lens diameter is 90 millimetres and the focal length is 1250 millimetres. This gives you a maximum useful magnification of 180x. 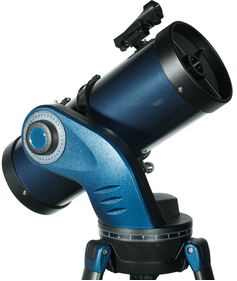 Two eyepieces measuring 9 and 26 millimetres are included. As a beginner you may not know exactly where all the celestial bodies are and what is known about them. The GoTo-system will help you on your way. This system has 30,000 pre-programmed objects that it can search for one by one. 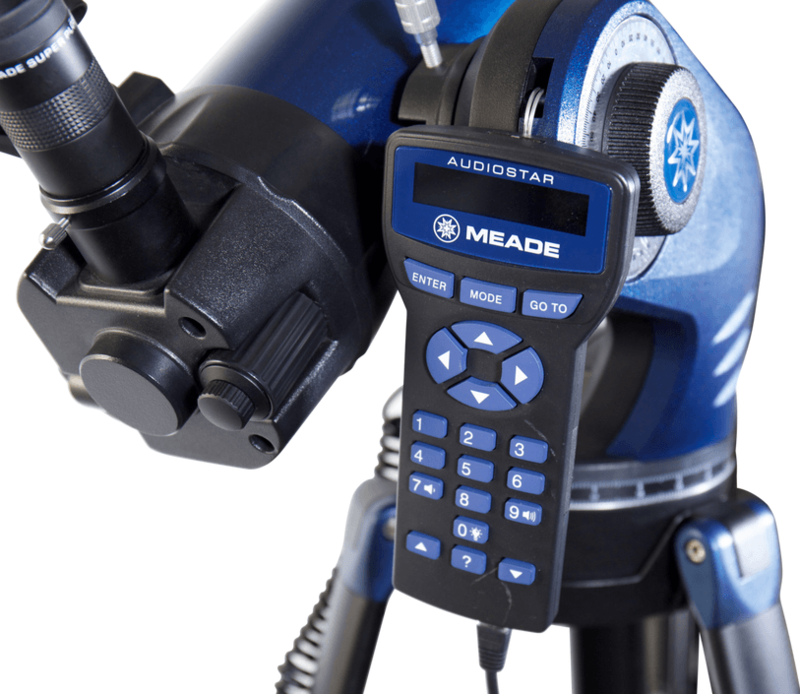 Because the telescope is lightweight and easy to set up, you can use this Meade telescope on location. Because it is a catadiopritic telescope, it is more compact than a refractor telescope. This catadioptric telescope fits easily into your trunk, so you can take it anywhere. Write a review By sharing your experience with the Meade StarNavigator Maksutov 90 mm telescope, you can help others (perhaps still doubting customers) with making a good choice.